Welcome to the 4th Annual Dartmoor Geocoin Race. As voted by the participants, this year’s race starts on Saturday 11th February and finishes on 30th November. But you don’t have to place your geocoin on that date, just any date following. If you want to participate but haven’t yet got a race coin, it is definitely not too late, details below. 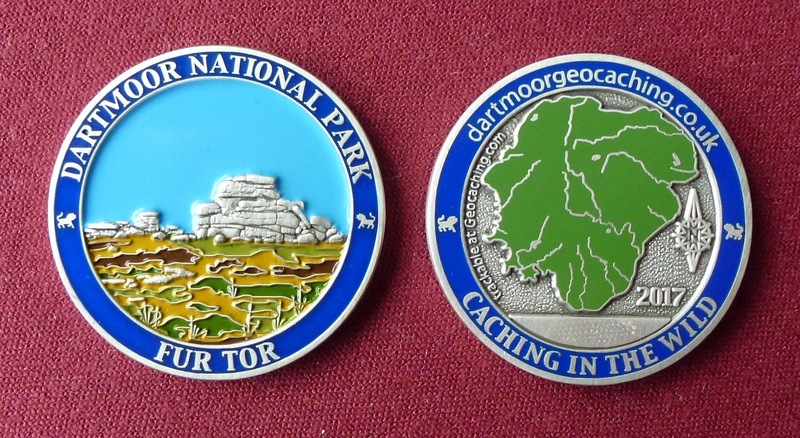 Once again I will award 2018 Dartmoor Geocoins for the coins with the top 3 mileages. Coins MUST start the race with zero mileage – if any mileage has already been recorded before 11th February, please delete those logs. Only original Dartmoor 2017 coins can be used – NO nasty proxies please! If you bought (or buy) a second coin from me at a cheaper rate it MUST be entered in the race. A couple last year never got started which is not fair on others who paid the normal price for their coins. I am only going to count the number of miles travelled. Physically label your geocoin to say that it is in a race and needs to be moved as far as possible. Give as much information about the race on the geocoin description page as possible and include a photo, use the one above if you wish. Don’t let cachers keep dipping your coin unless they are going long distances – coins need to be placed in a cache so that they can be moved on. If a cacher hasn’t placed your coin within a few days email them and ask them to do so. Don’t let them forget they have it! Watch any cache your coin is placed in and ensure that the next visitor logs it as retrieved. If they don’t ask them if the coin was in the cache. The geocoin will remain your property and you can set whatever goals you would like on the geocoin page. I would ask you NOT to remove the geocoin’s name but to add to it, e.g. 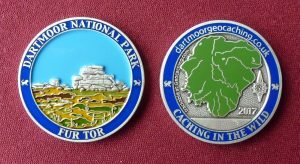 it comes named as Dartmoor National Park 2017 Geocoin, so you could add Sue’s ….. to the front of it. That way everybody can still search for it and I can produce some race details. If you haven’t got a race coin yet it is definitely NOT too late. Some late entries have done very well and won prizes. Get a geocoin to enter the race – details here! The following have entered the race – please let me know immediately if you are not on the list and please ensure that I know your geocoins tb number. Hi Dave, sounds good, are you able to add mine on please? TB89PM5.